The Sustainable Rangeland Management Project is in its third phase. This third phase is being implemented by ILRI with the Ministry of Agriculture, Livestock and Fisheries - Livestock Sector. Other partners in the project include the National Land Use Planning Commission and CSOs - the latter will be responsible for activities on the ground. The project is funded by a grant from IFAD Tanzania to the International Land Coalition (ILC) as part of a larger project on land governance. ILC is making a grant to ILRI for the SRMP Component. The project will link and work with other IFAD projects in-country. The project focuses on improving the sustainable management of rangelands in villages, including the securing of village lands through village certification and village land use planning. A key innovation that is being supported by the project is 'joint' village land use planning to protect shared grazing areas that fall across two or more village boundaries. This can often be a contentious process involving mediation of conflicts between farmers and herders. Once protected, the Project will also look to how rangeland management of these areas can be improved, including potentially securing additional funds for technical interventions. The Project will also seek to influence a more enabling environment for securing pastoral lands/rangelands through supporting policy-influencing, advocacy and lobbying activities. Knowledge management is also an important component and it's anticipated the project will share lessons learned and experiences through a number of different forums including through the ILC Rangelands Initiative, through presentations at conferences, through publications and social media. 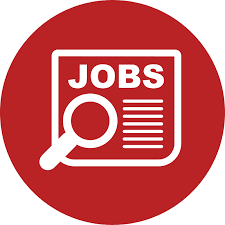 A consultant (or a set two consultants) is required to carry out a contextual analysis and to collect relevant data and maps in two clusters of districts in Tanzania. Consultations with key stakeholders (under guidance of project staff). Interviews with key informants at district and village level to understand the local political, economic, environmental and social context and any underlying issues in the area that might impact on land use planning processes. Interviews with national or regional stakeholders including government, NGOs, communities, private sector and conservation organisations amongst others concerning plans for development of the districts such as any large infrastructure, protected areas, extractive industries, planned investments including large scale farming, government ranches, or projects/programs by development actors etc. Collection of maps, reports or other documents that would be useful for the project and its understanding of the local context. To write a report, with accompanying notes from interviews and FGDs with all participatory maps copied, including recommendations for clusters of villages suitable for joint village land use planning based on the information collected. 2 research reports - one for each area. Master's degree in geography, development studies, agriculture, livestock, land, land use planning, environment or similar. At least five years experience working on research in pastoral areas, rangelands, NRM, land issues or similar in Tanzania. Knowledge of village land use planning preferred. Contacts in government and other stakeholders would be useful in order to access information. Experience of working in Bagamoyo/Chalinze and/or Morogoro. Proven excellent research and writing skills - examples of written work will be requested. Experience of working on gender issues and social inclusion preferred. Duration: From approximately 14th May 2018 to 30 August 2018. Applicants should send a cover letter and CV expressing their interest in the position, what they can bring to the job and the names and addresses (including telephone and email) of three referees who are knowledgeable about the candidate's professional qualifications and work experience to the Director, People and Organizational Development through our recruitment portal http://ilri.simplicant.com/ on or before 4th May 2018.. The position title and reference number REF: C/SLS/2018 should be clearly marked on the subject line of the cover letter.